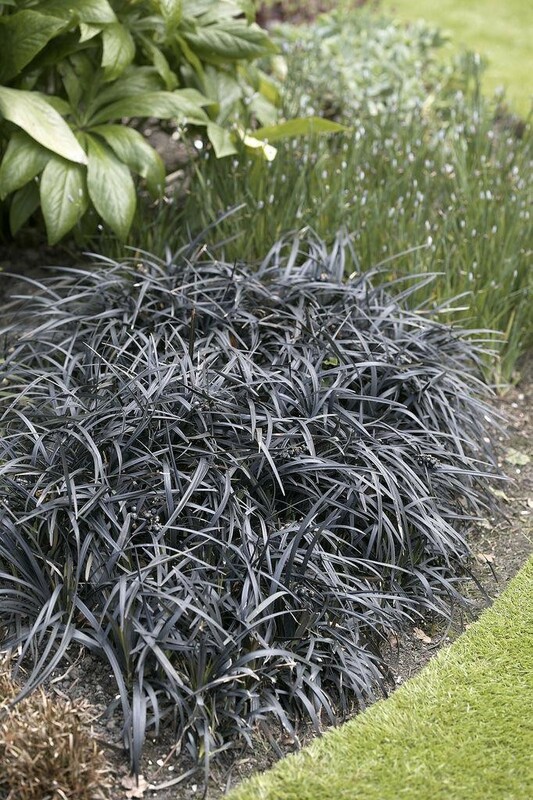 A garden designers favourite, this Ophiopogon nigrascens is a trendy and award winning grass-like plant forming low-growing tufts of very dark foliage, that actually appears to be black in colour. 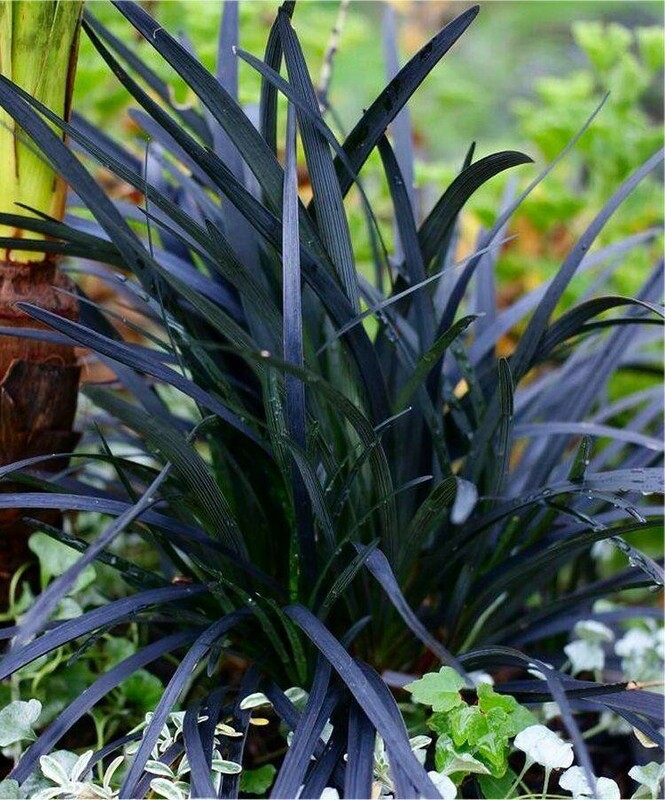 Easy to grow, Ophiopogon planiscapus nigrascens or Black Mondo Grass as it is also known is fully hardy and evergreen, or should we say ever-black! 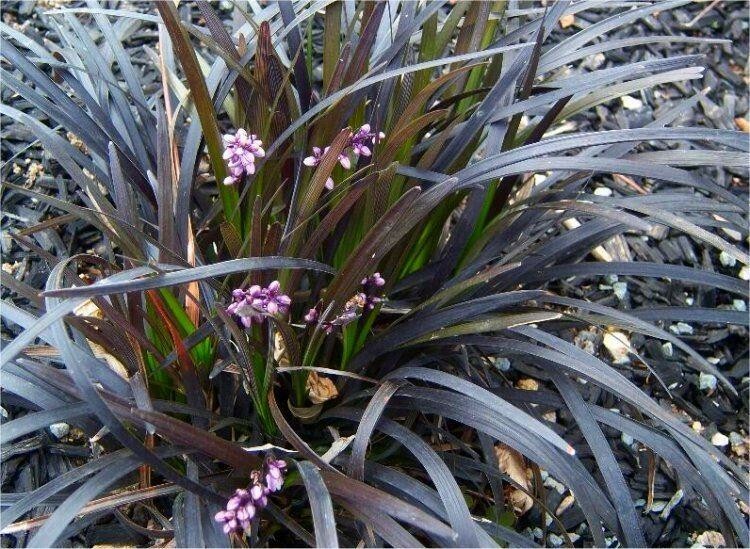 No wonder we find this one of the most popular of all the ornamental grasses available. 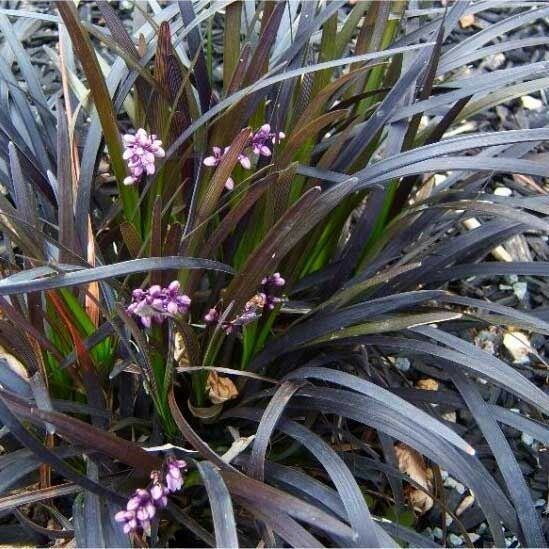 In summer, small spikes of pale lilac-pink, bell shaped flowers appear among the foliage, when it is often referred to as Lily-turf, these are followed by black berries in the Autumn. This unusual and versatile grass look particularly good combined with other grasses, and is fantastic for contrasting against different lighter plants and textures, be that other grasses, ferns, perennials, even golden conifers. One way to use it is to contrast it with grasses grouped in tubs, or as a brilliant contrast with silvery shaded Calocephalus, Red tinted Leucothoe Zeblid or Bright Gold Crest conifers as a centrepiece in winter containers. Under-planted with dwarf Tete-a-Tete daffodils is another way to show them and this plant off in Spring time. Do not let these ideas limit you're imagination, as it will work well with most other plants too. You are sure to think of many other planting combinations and ideas, if you find any you really like, we'd always be pleased to hear them!